Enjoy the top 10 famous quotes, sayings and quotations by James Preston Rogers. Being large and muscular, you are not taken very seriously as an actor. When bigger roles come up and the actor needs to be muscular they tend to cast a regular sized actor and get him to hit the weight program as opposed to hiring an actor who's already muscular and developed in that area. Beside my obvious physical structure, I have been told on almost every set I've been on that I am a joy to have around. I grew up as a team player on team sports. Later as a doorman where you had to watch each other's back and trust the guy beside you. Becoming an actor has really helped me as a human being. The joys in my life I feel are more joyful, and the sorrows I feel are a bit sadder, but I find I'm more in tune with my feelings as a human being and others as well. As I continue through my acting career I tend to wish I were a little shorter and a few pounds lighter so casting directors would call me in for more diverse roles. 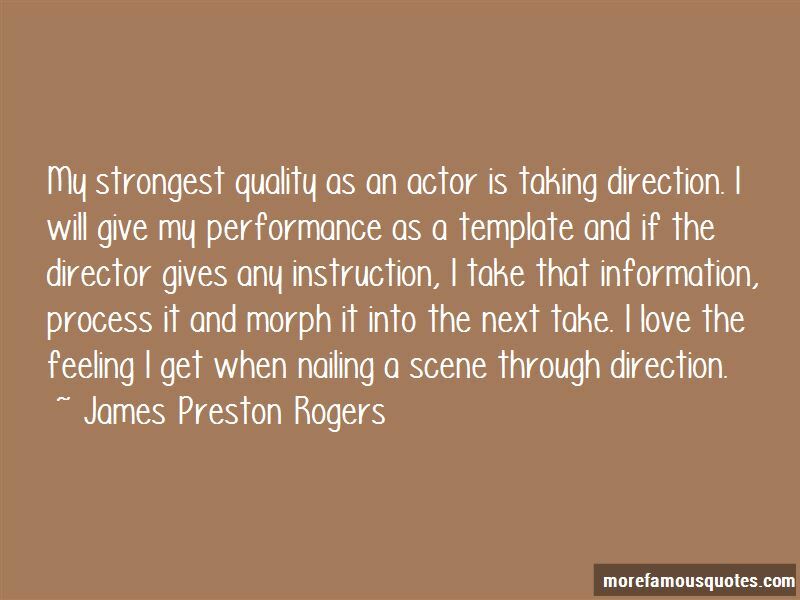 Want to see more pictures of James Preston Rogers quotes? 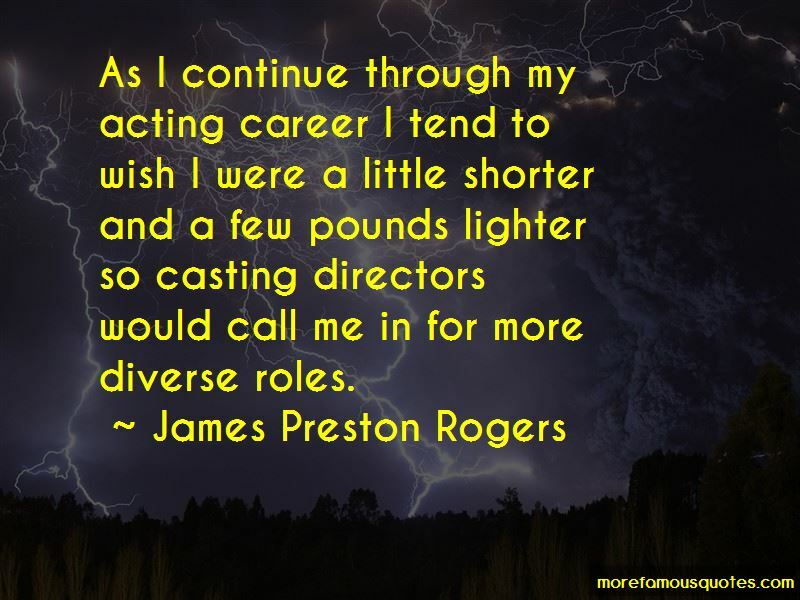 Click on image of James Preston Rogers quotes to view full size.